After wanting one for some time, I finally ordered and picked up a PPQ .22 this week. BJ date code. Finally was able to take it to the range and try it out today. Liked how it shot, was 100% reliable, and was shooting great groups, but they are very high and very left of point of aim (about 4-5"), even at 7 yards. Most pistols I've purchased don't ever need sight adjustment out of the box, but thankfully this rear sight is adjustable for windage and elevation so I began the process as outlined in the manual. Ended up bottoming out the elevation adjustment to bring POI to POA. I used the windage adjustment with the provided allen key and the set screw stripped. Couldn't have been more disappointed. It's not too far off but since it's not able to be adjusted anymore I decided I'm not going to "live with it" and it's going back. Fortunately the LGS where I bought it will take care of everything involving shipping it back, etc. so we'll see how that goes. Walther will take care of you. If you love your PPQ in 9/45, you will love this one, although the trigger is not as good. I love that Walther covered the spectrum of shooting options with the PPQ. I also have the airsoft PPQ and shoot soda cans while tending the BBQ on the lanai. The .22 PPQ is a great proxy when you don't want spend a lot on ammo to scratch the trigger finger itch. I'm approaching 1000 rounds and can shoot pine cones off trees @ 50' or so (if I stay focused), so it's pretty accurate. PS If you use CCI standard velocity .22 and have a suppressor, its super quiet. The airsoft PPQ is louder. Although I've fired a couple of PPQ's, the .22 version is the only one I have. I do have a P99AS 9mm and my first choice would have been an identical-size version of that. I also have the P22Q but as you know it's significantly smaller. Glad to hear about the accuracy, too. Mine was grouping very well with CCI Mini-Mag. I hope someday to get a suppressor for this gun, though I haven't settled on which can to purchase. Any recommendations? 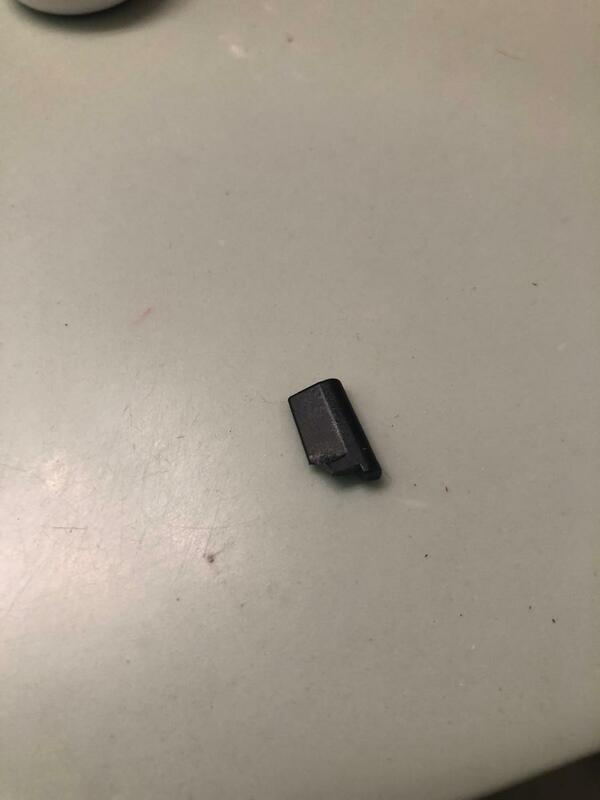 Came back from shooting yesterday and found a piece of plastic had broken off inside. Figured out that there is a cross piece that sits in front of the hammer. Somehow it broke off. Gun still works fine though. I emailed Walther about it. I love the gun. Very accurate and reliable. Here are some pics i took right after shooting. OK, now that I have gotten my PPQ-22 back from Walther (picked it up Wednesday night) I was able to compare. It looks to me like the broken and partially missing part is metal. It appears to be part of the left rear slide rail, which makes a 90 degree turn and serves as a limit or stop for hammer forward travel. In looking at the design, I'd probably not dry-fire the pistol when it's disassembled, although that is pretty good advice for any hammer fired gun I think. It certainly should be repaired by Walther or other qualified gunsmith. They turned mine around very quickly. I hope to take it to the range to try it out today. So I took the repaired PPQ .22 to the range today and ran about 100 rounds through it. Walther Arms replaced the rear sight assembly and zeroed the pistol. The result is the rear sight is further right in the dovetail than I would prefer but POA and POI are now the same. It's a really good shooter, but in the end I really don't like the rear sight and wish it came with the same sights as the standard PPQ. At the end of the day, I still am happy to have it and glad that Walther turned it around so quickly. They threw in a couple of Walther stickers which was a nice touch. In a perfect world the barrel alignment wouldn't have required moving the rear sight over in the first place. In fact, it's the only handgun I have that required moving (besides a S&W revolver which had to go back because the barrel was over clocked or something). OK thanks for the confirmation. 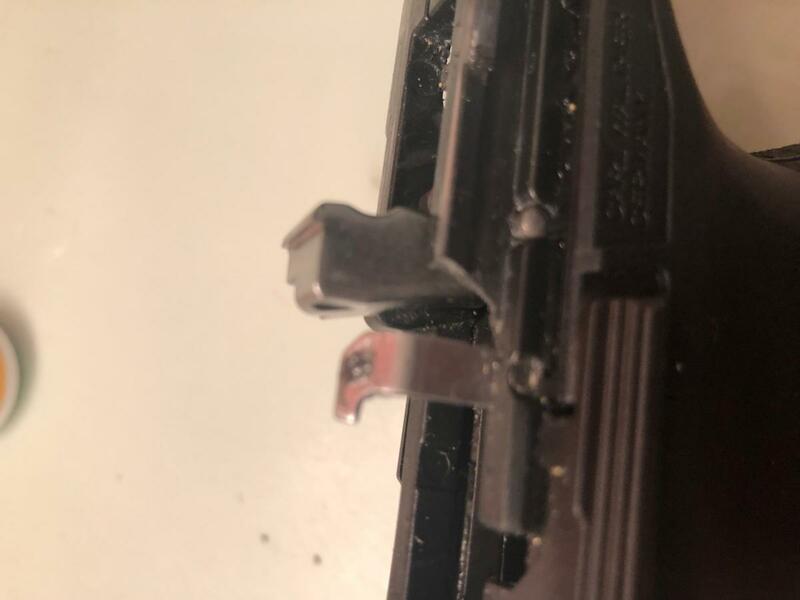 I can honestly say I cant remember ever dry firing it while disassembled..But I guess its possible I may have accidently while cleaning..In any event, I contacted Walther about a week and half ago, got a response and case number, sent them pics..but never got another response. Sort of disappointing. Due to my work schedule I cant call during normal hours so I am relying on email at this point. Otherwise the gun works perfectly fine. Glad to see they took care you.. The general consensus here is that the phone is the best way to contact Walther Arms--at least the most expeditious. Understand your work schedule conflicts with their customer service hours which can be frustrating. Pictures or no, I would suggest to the CS folks in your next communication that you wish to have the gun returned for warranty repair. There's really no situation where pieces falling out of a gun should be a "don't worry about it" scenario. 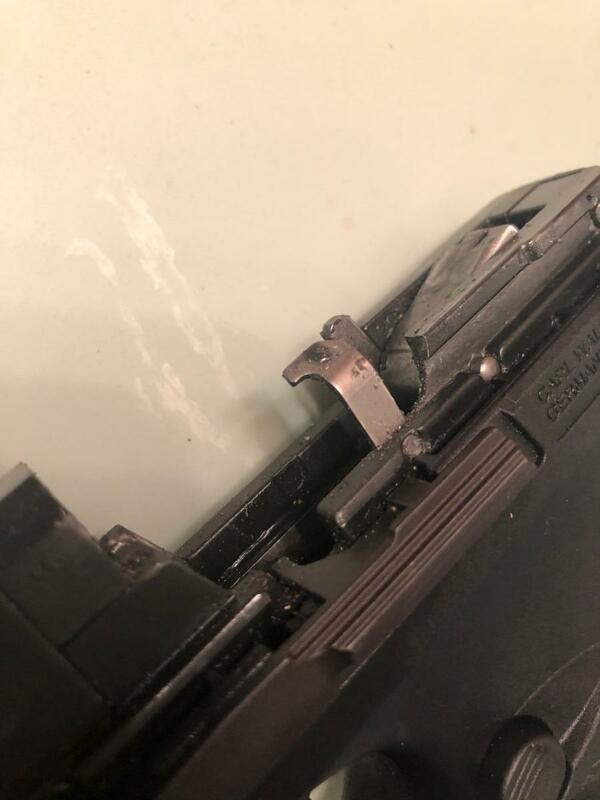 It probably is a defect in the material quality of the part that failed, as I haven't heard or read about this happening on a large scale with this pistol. That's not conclusive evidence, mind you, and I'll be watching those parts very closely on mine. In any case, good luck with your communication and let us know how it works out!